Santorini Fishing Charters we have available variety of trips. Your Captain and guide will is an experienced and very friendly local fisherman here in Santorini, Wise and from the Santorini Fishing Village, He knows the waters of Santorini like the back of him palm! Your day on a Santorini Fishing Charter won’t only be a day you won’t go hungry but also an unforgettable experience of your Santorini Holiday! Caldera Santorini Fishing: 2-3 Miles off the port troll and bottom Fishing for Blue fin Tuna, Sword Fish, Calamari, and Grouper! Rates will be mentioned via email. Along with any information you might need! Santorini Fishing Charters are PRIVATE which means we rent our boat to either individuals or groups, Semi-Private Fishing Tours are only arranged upon request. Meaning that you will have the boat to your self but the ocean as well! The best tip you can give us is a good review mentioning our website! Reserve your Charter – Online! Caldera Santorini Fishing Trips With the most experienced and right person for the job. Our captain is a 40 years fisherman in the Waters of Santorini and knows every trick the fish try to avoid being caught! Santorini is his home and the sea his life. Private Fishing Tours in Santorini for small groups up to 10 people. Santorini Volcano Fishing Fish in the waters of the Volcano and catch the huge and mysterious fish hiding in the Hot Springs and around the Volcano! Fully equiped boat with Cabin, Shady deck, Comfortable and wide. Of course safety equipment! and snorkeling gear. 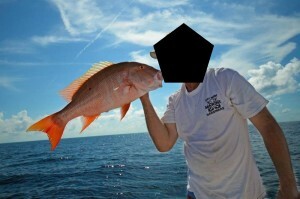 Other than commercial fishing, We fish for our hobby as well. We have been in the game for many years and we know tips and tricks to show you that will amaze you. You keep your fish! After a day of fishing you will be hungry, That is a perfect chance to take the fish you catch to a local tavern we will show you and cook it there! You will feel accomplished because you catch the fish and full because it will be delicious! Santorini Fishing is an Adventure. Every Fishing tour in Santorini is an adventure, You never know what will be on the end of that fishing line! There have been times we caght a 30 kilo Grouper and we needed help getting it on board! Meeting new people and sharing a Fishing experience in Santorini with them excites us! Either you are new to fishing or a proffesional we will have something to learn from you and you will have ALOT to learn from us. Working is our kind of Advertisement. We make sure that our Fishing trips in Santorini are the best experience one can have while on the island of Santorini that way when they come back or their friends and families visit Santorini will have heard of us and will join a Fishing Tour again!